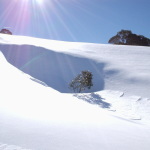 On this page you'll find a range of information and learning activities that will help you develop your knowledge about the Outdoor School - Bogong, and it's surrounds. 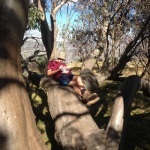 You should keep the learning you do here stored in your Bogong Portfolio. 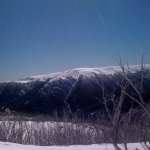 The Outdoor School - Bogong, is surrounded by the Alpine National Park. Visit the Government page about National Parks and answer the following: "What is the purpose of a National Park?" 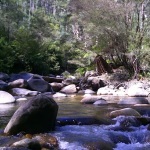 The Outdoor School - Bogong, is located in north east Victoria in the foothills of the Alpine National Park. Identify where your house is in relation to Bogong Village. How many kilometres is Bogong from your place? Use a print off or screen shot to outline the route you will be taking to get here. How long will it take, and what likely stops you might make along the way? Bogong Alpine Village was established to support the development of the Kiewa Hydro Electric Scheme. The school buildings you will be staying in were the original living quarters for many of the workers, as were the rest of the buildings in Bogong Village. So what is Hydro Power? Find out more about the Kiewa Hydroelectricity Scheme by visiting the AGL website here and watching the videos below. On a map identify and mark the 4 AGL power stations situated along the Kiewa catchment. When is hydro electricity most likely to be relied on for electricity and why? What are the pros and cons of hydro power for the environment? Is your house powered by green energy?